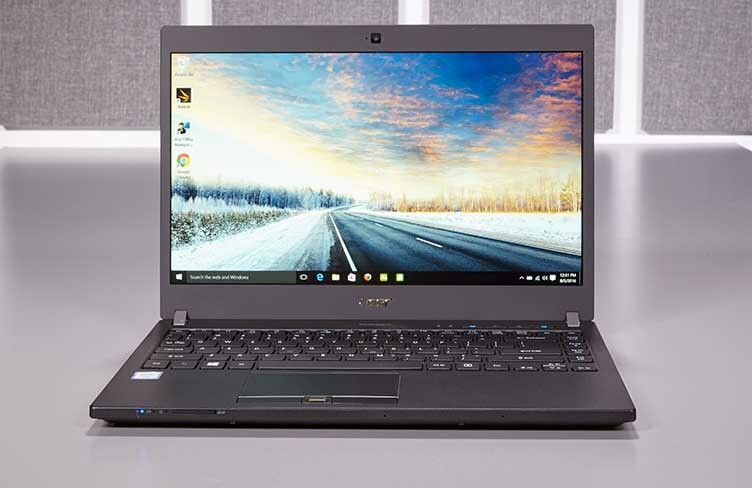 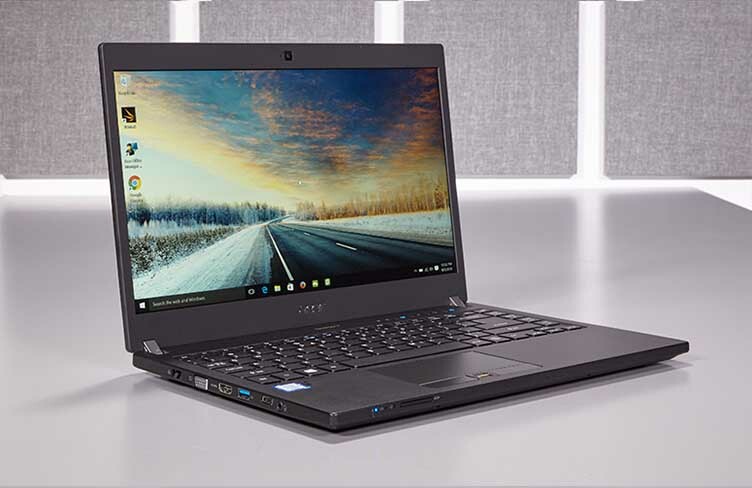 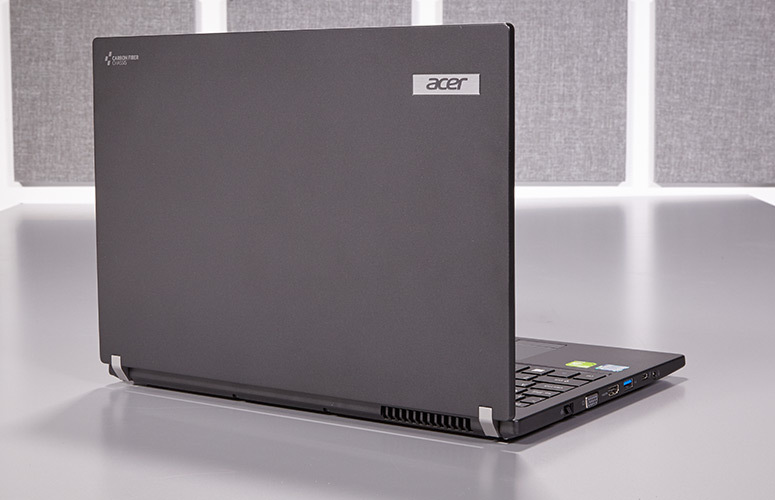 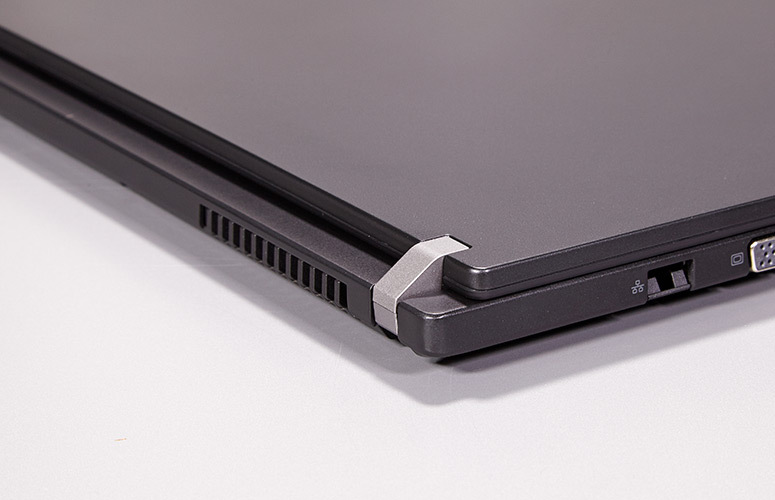 The Acer TravelMate P645 stays true to its namesake, as we immediately noticed how thin and light the new notebook is.Two gray hinges hold the laptop's smooth, carbon-fiber lid together, with a matte finish across the interior and exterior. 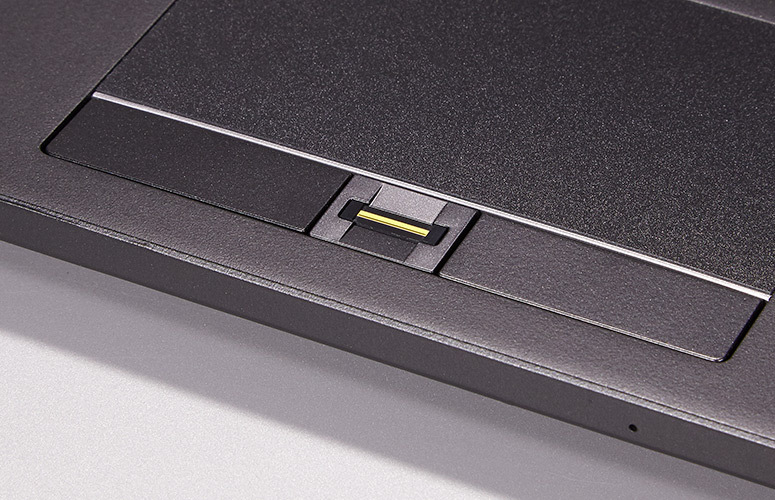 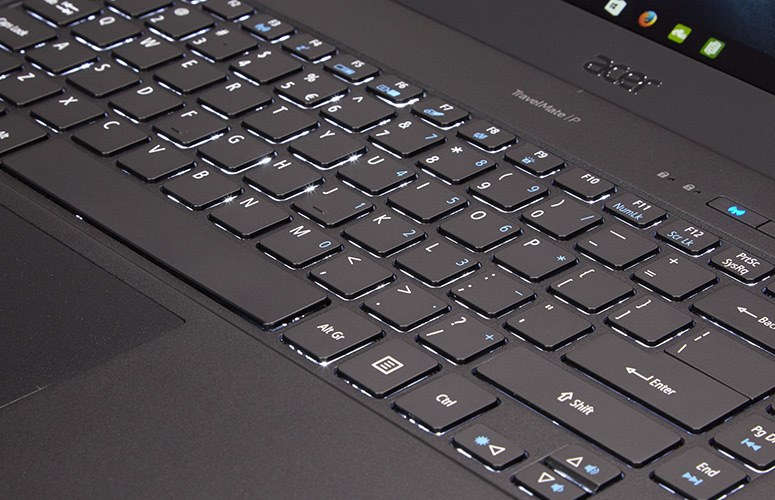 The P645's black, spill-resistant island keys are generously spaced. 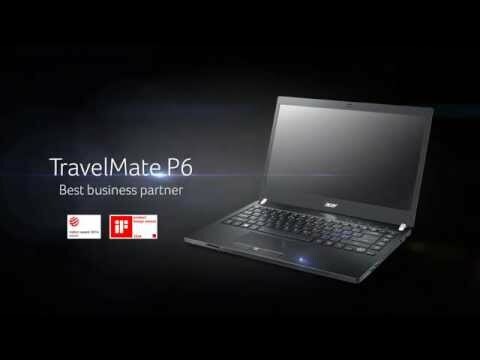 The TravelMate has keys for Home, Page Up, Page Down and End at the very edge next to the Enter and Shift keys, which enabled us to easily scroll through websites with our right hand.